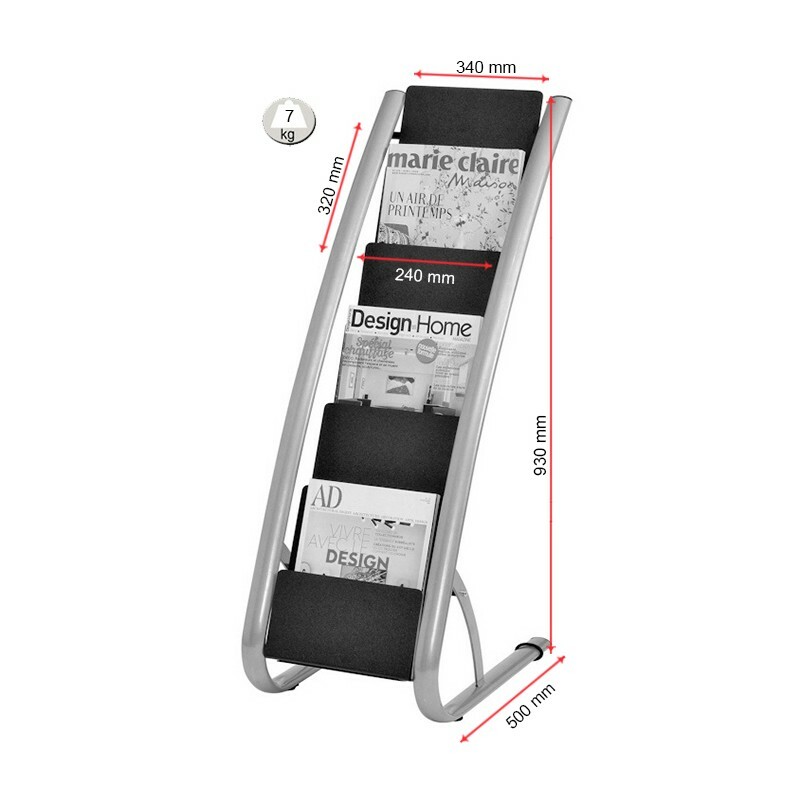 This contemporary floor stand comes with six A4 literature pockets, allowing plenty of room for you to display marketing materials for potential customers and clients to peruse at their leisure. 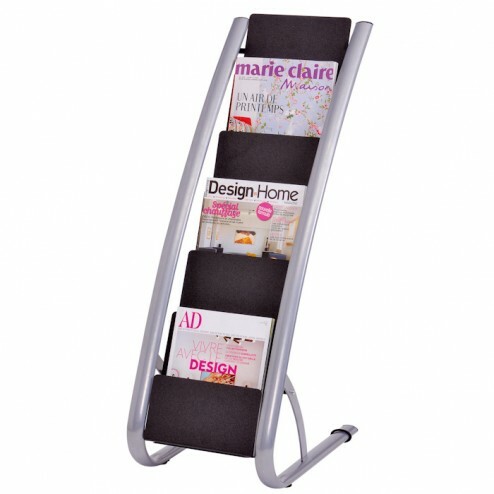 This magazine holder features a large, stable base, which incorporates anti-slip pads. 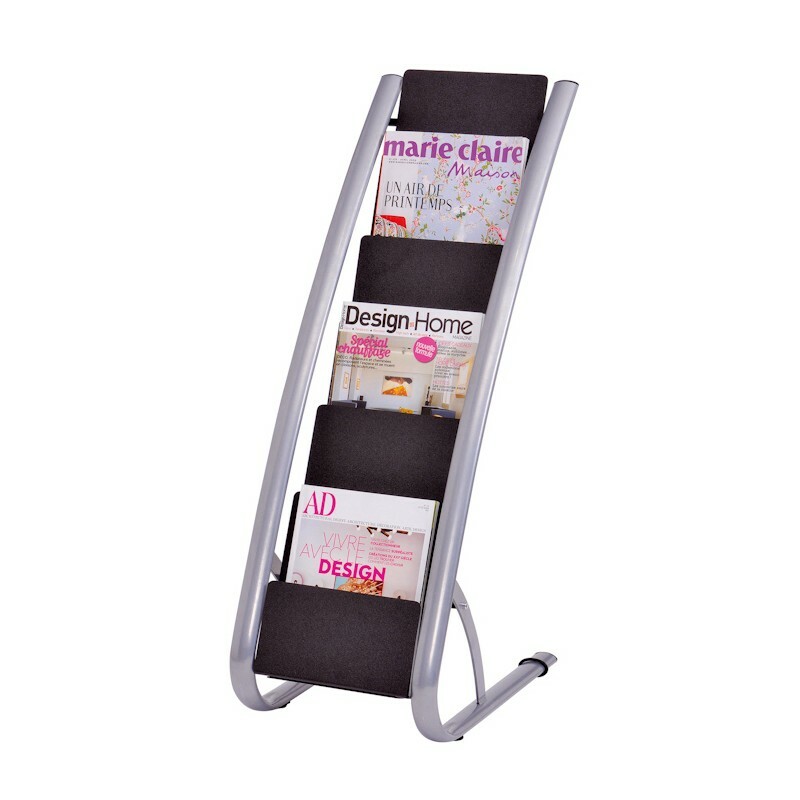 Although this magazine holder is portable, it’s extremely stable when put in position. The fact that this holder can be moved with very little effort makes it ideal for use in a retail environment. 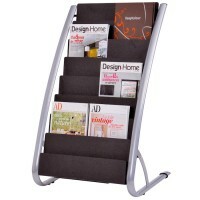 Finished in silver and black, this holder looks great in virtually any surroundings. It will arrive to you flat packed, affording easy assembly for you. 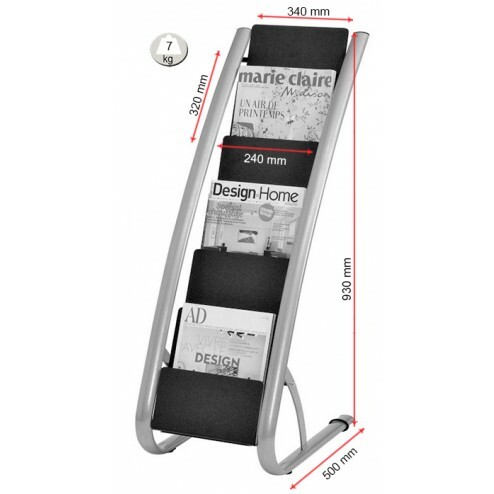 Remember next day delivery is available on this item, so if you need a high quality portable magazine holder in a hurry, this is the stand you should purchase! The stand sits at 930mm tall, 340mm wide and 500mm deep. 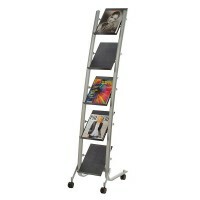 It weighs around 7kg in total, making it easy and practical to move when required. 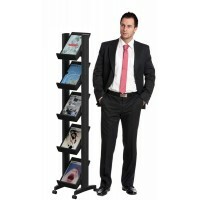 Order your portable magazine holder with us now!